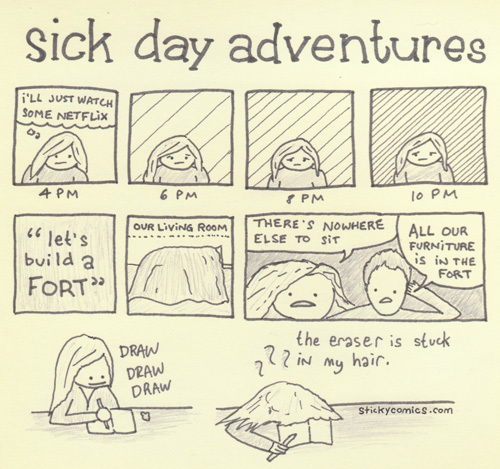 Here’s an autobiographical comic about some of the exciting things I’ve been doing while I’m home sick. Tonight we sleep in the fort again. Sorry to hear that you have been sick. And still, I wish I could I be so stoic as you when I am sick. I hope that you get better soon. How can one be so sad watching netflix? Did you watch the “Jurassic Bark” episode of Futurama over and over?